Who will win the race for the ride sharing market, a relatively new industry facing increasing competition and external pressures? A tumultuous war seems to be raging in the world of ride sharing. The ride-sharing industry is well on its way to reaching a $285 billion valuation by 2030, cementing its place in the increasingly relevant “gig economy.” Uber’s burgeoning success in popularizing ride sharing seemed to be the along the lines of the success stories of its Silicon Valley counterparts Facebook and Snapchat– that is, until a series of blunders bit into its astronomical ascent as a market leader. The mishandling of consumer data, security breaches, and continued reports of sexual abuse has hurt the company’s image in the eyes of some consumers. Rival ride sharing app Lyft soon capitalized on Uber’s errors and set out on the singular mission of beating out Uber to become the leader of the ride sharing business. Promising ride-safety, prioritizing better treatment of its drivers, possessing a consciousness about the environmental impact of its rides, and providing even cheaper rides than Uber, Lyft was soon a familiar option for those dependent on ride sharing in cosmopolitan areas. Lyft was also aided by a series of strategic partnerships with celebrities and by features in popular music videos and movies, making a speedy ascent to its position as Uber’s top competitor. This rivalry is intensified by new players such as Via and Juno who are also vying for a piece of the coveted ride-sharing market in the hopes of edging out their competitors to emerge as the dominant player of the estimated $18 billion dollar industry. With Uber and its rivals continuing to undercut each other, the future of the ride-sharing business seems uncertain, at least for now. The temporary winner in this scenario is the consumer, who is able to reap the benefits of competitive prices, continuously switching to the next and cheaper alternative to Uber and thus attracting more players to the market. While many have compared Uber’s continued losses to the patient wait Amazon faced before it reached its tremendous profits and trillion dollar valuation, the similarities to the market for ride-sharing are few. For one, Amazon faced competition largely from mom and pop shops, which it drove out with its competitive pricing through years of bearing losses and from a diverse revenue stream resulting from offering a variety of services. Lyft and its counterparts, however, are no mom and pop shops. Uber is armed with $24.2B in funding over 22 rounds with its recent round coming from debt financing while Lyft, with 19 funding rounds worth about $4.9B, is also ready to put up a strong fight. The current price war may rage on for years, and bring with it years of losses until each player admits defeat, leaving one, or none, victorious. Although tech companies like Netflix, AirbnB and Spotify have also faced years of losses before seeing profits, these companies face low marginal costs due to ease of replication of their songs or movies for different users due to their technology driven platforms. Ride sharing services on the other hand, face a substantial marginal cost per ride. Add to that the additional time drivers spend circling for rides, and it makes sense why these companies have found profitability difficult to achieve while also subsidising their fares. With a predicted recession looming in the horizon, the ride sharing industry may face more hurdles in the current climate of rising interest rates. Their resilience will be tested by how replaceable ride sharing could be in the midst of a recession, should it occur, they may be forced to further postpone raising prices. With such a deadline, it is easy to understand why Uber and Lyft have been pushing to capture market shares and race towards an IPO while the bull market persists. Both companies have filed for an IPO, expected later this year. Lyft is set to become the first public ride sharing company with Uber following suit. Continued funding is key to keep these companies afloat while they try to figure out the profitability puzzle. With almost $2 Billion in losses on a revenue of $11.3 Billion in the past year, Uber has spent a estimated total of $ 11 Billion since its founding. With an estimated valuation of $76 to $120 Billion, Uber’s public offering is reported to deliver as much as $25 Billion and buy the company some time to reach self-subsistence. Lyft’s recent valuation at 15 billion USD and the IPO itself, estimated to be worth $20-25 billion, makes it one of the most unprofitable companies to IPO. Despite inheriting losses of nearly a billion dollars from the last year, (nearly half of its revenue of $2.16 billion) Lyft hopes to bank on its steady growth figures; Lyft revenues grew by 103% in the last year, and it boasts U.S. market share nearing 40 percent. Both companies, however, have adopted different strategies for expansion. Lyft has invested in car rental service Express Drive and bike sharing service Motivate to provide complete transportation solutions. While Lyft has concentrated in smaller and mid-sized cities in the U.S and Canada, Uber spent over $2 billion trying to break into China and continues to focus a large part of its efforts on international and product diversification. Lyft’s initial partnership with Chinese company Didi Chuxing, which had invested $100 million in the company and vowed a a global anti-Uber alliance along with India’s Ola and Southeast Asia’s Grab, has now joined hands with Uber to capture the Chinese market for ride sharing. China has the highest revenue generation ($35 Billion USD) among the global ride sharing market. Didi now has a $1 billion stake in Uber, and Uber owns a fifth of Didi. With operations in over 70 countries, and with businesses in freight hauling (which is a logistics service), air taxis, Jump Bikes and artificial intelligence research. The UberEats food delivery app also reportedly rakes in about $6 billion in food sales. Unless its other ventures can make up for its losses, in the long run, Uber’s profitability may depend on how swiftly it can drive out the other players and start charging prices that can cover its costs. That day will be bleak indeed for consumers, who will once again fall prey to the surge pricing and sky high prices that drove out the cab industry in the first place. With no other competitors, it would perhaps take another revolution in the industry to bring back lower prices again, and with increasingly short product life cycles, we might be closer to the next industry disruption than we can immediately predict. This disruption may be brought about by a switch to self-driven cars, and whichever app can successfully launch them as a part of its business model. A future with driverless cars and increased reliance on ride sharing and public transit is supported by the fact that the percentage of people with driving licenses have fallen for almost all age groups below 55, a vital group for ride sharing apps. As of 2017, 50.9% of all ride sharing app users are within the 25-34 age range, and the future increase in spending power of these millennials may drive the industry forward. Wary of the tremendous disadvantage of not being the app to pioneer such technology, Lyft has paired up with Waymo and General Motors, while Uber is developing cars with Daimler, Toyota, researchers at Carnegie Mellon, and others, to win the automation race. According to a report by McKinsey, despite the added vehicle content costs associated with autonomy, the net cost-reduction potential for a single autonomous vehicle is estimated to be approximately $300,000 over its lifetime. Automation provides the added advantage of having cars operated continuously, while drivers on the other hand are unable to be on the streets around the clock. Such cost deductions can help Uber/Lyft attain profitability and to pass on the savings to consumers via lower prices. On the other hand, if none of the budding rideshare businesses can turn a profit or amass a majority market share to justify their continued funding, their business models may have to be modified to facilitate long-term sustainability. 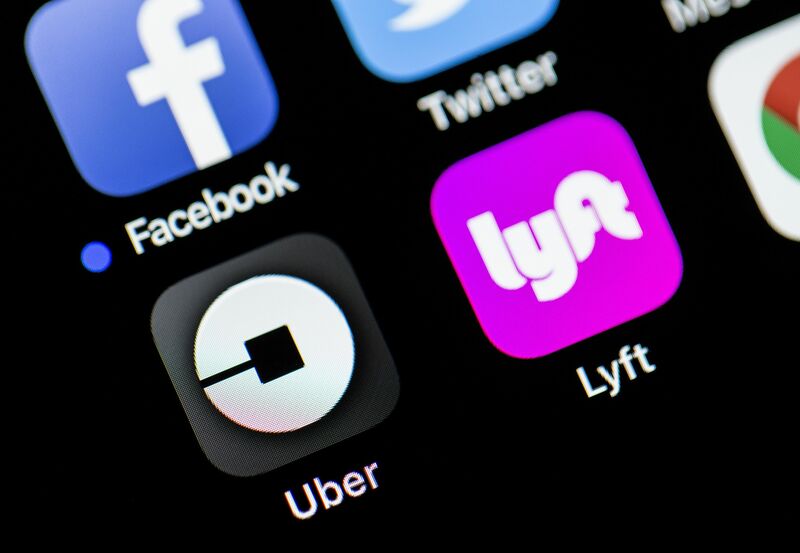 In the battle for market leadership, a continuous inflow of funds is crucial, one which Uber and Lyft are looking to prolong with the help of its upcoming IPO. A successful IPO or acquisition may just be able to tip the scales in favor of either contender. With 25,349,596 app downloads in the last 30 days compared to Lyft’s 2,811,612, Uber is still king. The question is, for how long? Previous Entry Google Maps:Friendly Giant?